If you have any questions or want to enquire about dates, use our form to contact Iain Roden & Clare Winskill or see their website for more information. Follow the road for 15 miles down the glen, past tiny cottages and wandering sheep, around the loch and over the mountain, to a converted croft house at the end of the track, where a glass of prosecco greets you on arrival and Belgian hot chocolate is offered before bed.The breakfast room runs along the front of the house with a string of windows that frame the view, and the restaurant is in the conservatory. While the wood-burner keeps things cosy, the small daily-changing menu is testimony to the chef’s exceptional food. 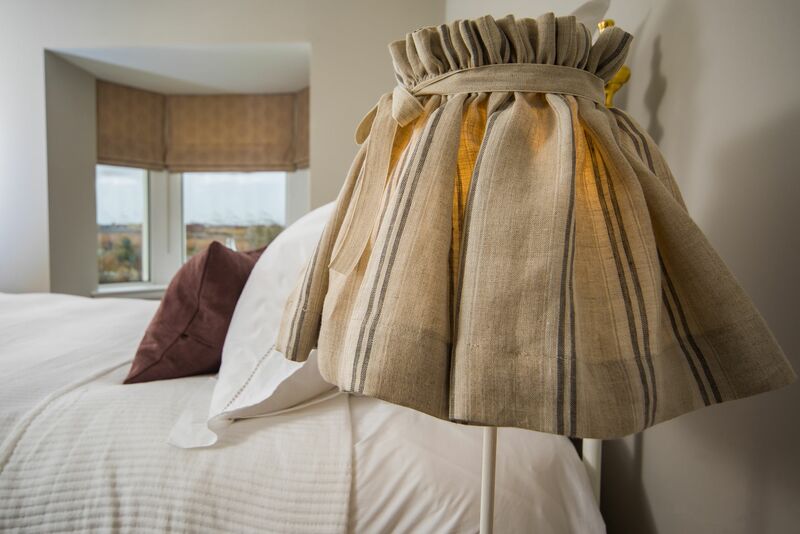 Two bedrooms and two suites – simple and stylish – are divided between Coruisk House and The Steading next door.Drop down to Elgol harbour, where Bonnie Prince Charlie fled for his life, and gaze upon the mighty Cuillin rising from the sea – you might also glimpse seals and puffins. You can roam the hills for miles to spot deer. Children over 14 welcome. Pets by arrangement. Christmas, New Year, 20 October - 28 February. Warm and welcoming with fantastic food. Sue and I enjoyed our stay enormously and Iain rose to the challenge with varied and delicious vegetarian options for me. Wild walks start from the door, and the bay of Camasunary is close. The view over Loch Scavaig from Elgol harbour (2km) is one of the most spectacular in the UK. Climb Blaven, the only munro on Skye outside the Cuillin ridge, or take a boat trip to Rum and Canna. It’s a wonderful area for wildlife: you can watch sea eagles and golden eagles circling the house, and red deer trotting into the fields. Fantastic walks abound. Escape to the real remote part of Skye away from the crowds. Discover clearance villages, Bonnie Prince Charlie's cave and an iron age broch. 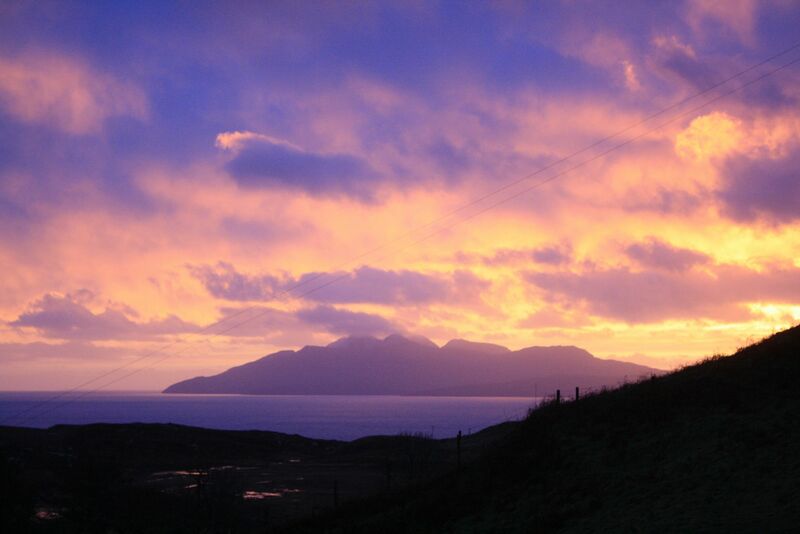 See the finest view of the Cuillin on Skye! Come and taste our locally sourced venison, Soay mutton and iron age pork from Rachael and Keith Jackson at Orbost. Farm.... Savour David Oakes Sconser scallops - the best in the world! 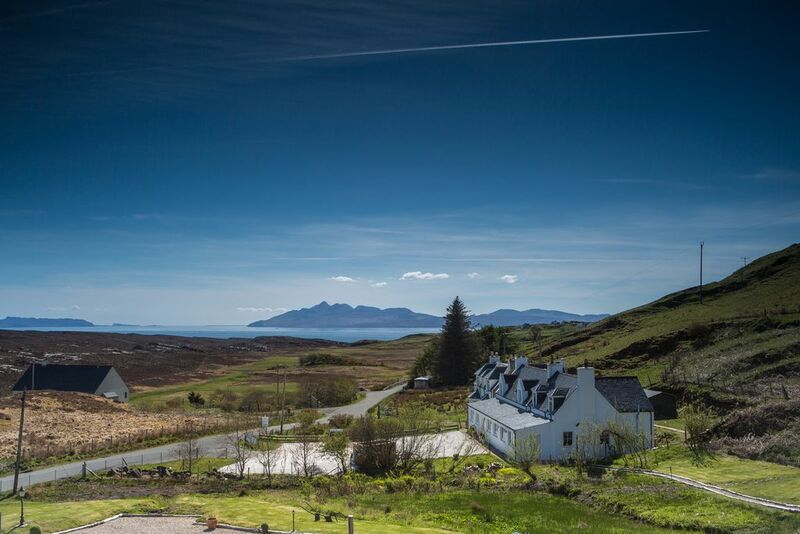 Owners Iain and Claire are "passionate and obsessed by the beauty that surrounds Coruisk House,” helping guests discover the best of the Strathaird peninsula. Also passionate about food and wine, they use the finest ingredients, from wild venison and hand-dived scallops to Scottish cheeses and Drambuie. Iain can also turn his hand to lovely vegetarian dishes.